Wherein my King Philip Purple Noodler's Ahab (IF) is paired with Platinum Classic Lavender Black. 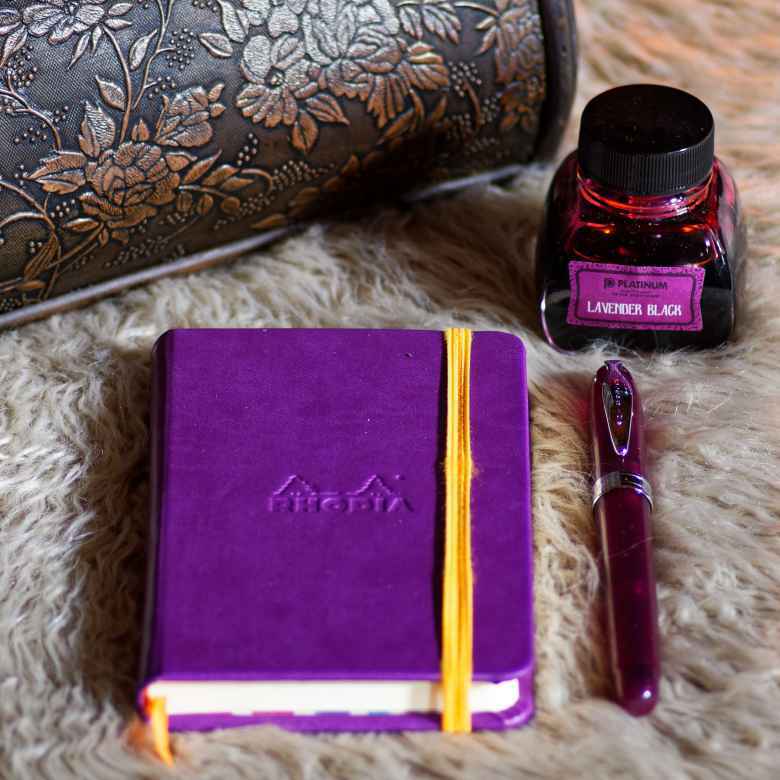 On January 13, 2019 my King Philip Purple Noodler's Ahab (IF) joined its comrades when it was filled with Platinum Classic Lavender Black. I refilled it 2 times; the last refill was on February 17, 2019 . This pairing has been in use for 3 months. This is a straightforward combination. My youngest said she loves purple and blue (now she says she loves pink) so I alternate between purple and blue. This is my waterproof purple option. I bought this pen specifically for her diary, and when I turn over the diaries to her (probably when she moves out of the house once she’s all grown up) I’ll give her the pen as well. So in a way, this is not my pen.